Everyone loves a great deal and we want to make sure that you never have to miss out on some of the best the internet has to offer, and for that reason, we’re always keen to share what we find. 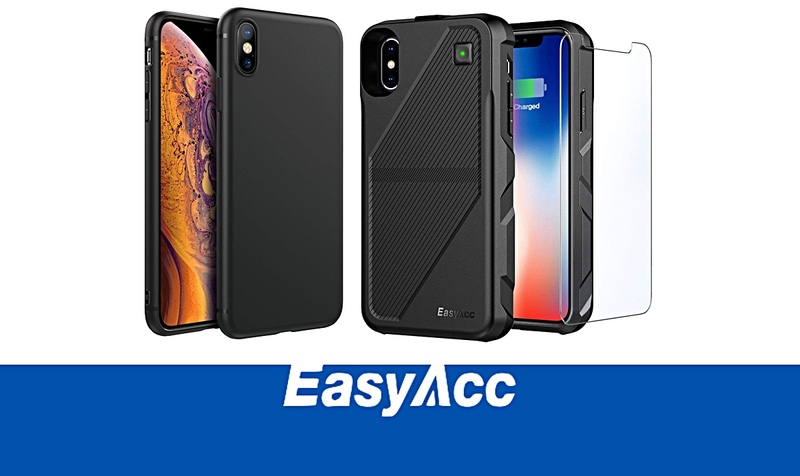 With that in mind, we wanted to share with you no fewer than eight different deals that are currently being offered up by the fine folks over at EasyAcc, one of the best accessory makers around. We’re using more than a few EasyAcc accessories ourselves, ranging from chargers to battery packs, and there’s a little bit of everything on offer here. Whether you’re on the lookout for a new iPhone XS Max case to keep that big slab of metal and glass safe or need a mini Bluetooth speaker to help you jam out while doing the dishes, we think you’re going to really enjoy what’s on offer. With that said, let’s get started. Be sure to enter the relevant offer code at checkout in order to get the discount. You don’t want to miss out! Yes, that last one’s a bit left-field, but who doesn’t love leaving little notes for their loved ones?